The limited number of studies show conflicting results about the response to grazing of specific enzymes and whether they increase or decline with changes in grazing intensity. Trampling by livestock hooves increases soil compaction and reduces the cover of biological crusts, which result in increased erosion and reduced infiltration. Water infiltration is critical for soils in arid ecosystems because water is a major driver of productivity and stability in these systems. My work will add to the increasing body of knowledge on the risks and benefits of grazing for maintaining key ecosystem processes globally, especially for nations where livestock grazing occurs over extensive areas of drylands. 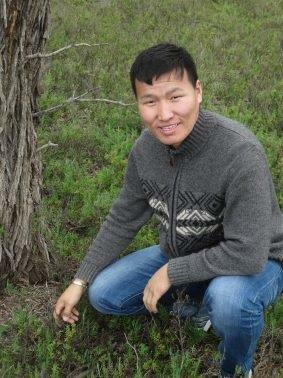 Vandandorj S, Gantsetseg B, Boldgiv B (2015) Spatial and temporal variability in vegetation cover of Mongolia and its implications. Journal of Arid Land 7: 450-461.